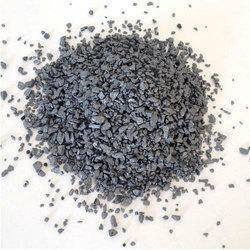 Wholesale Trader of a wide range of products which include casting inoculants. We offer a high quality range of Casting Inoculants. One of the ever present challenges to even the most experienced foundry man is the selection of the best Inoculation combination of elements and practice to optimize and achieve the required cast metal structure and matrix. Therefore, while there are several permutations and combinations of various Elements to achieve desired results in a single homogeneous addition, Barium containing inoculants are amongst the most popular as, in combination with certain elements, they are generally suited both for the inoculation of Grey and Ductile iron.